Forbes just released its retrospective on 2016 in the cannabis market and, if you've got resin on your fingers and dirt under your nails, the news isn't good. America's preeminent business magazine estimates the wholesale price of marijuana fell last year from $2,500 to between $1,000 and $1,486 per pound, with some dispensaries offering recreational ounces for as little as $65. That's a huge decline from just a handful of years ago and the grower glory days of the $4,000-plus pound. 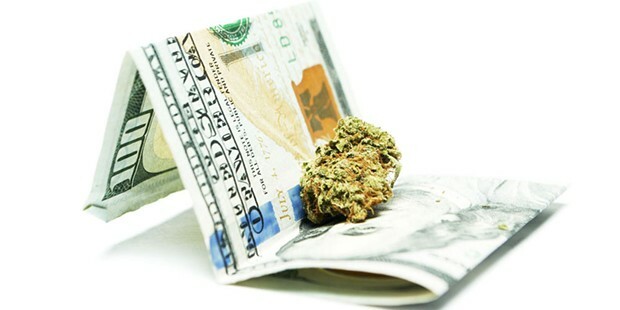 But Forbes quotes a number of market experts saying the trend has held remarkably steady and is a simple issue of supply and demand, as there's currently a larger supply of marijuana than is needed to meet consumer demand, leading to a "buyer's market" in which sales aren't growing as quickly as production. The Cannabist quotes some experts opining that, in a "fully developed legal market," the wholesale price could settle at $50 a pound. Concentrate markets, meanwhile, have held pretty steady, according to Forbes. 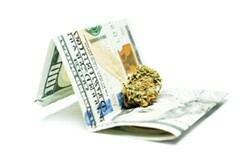 But if your business is growing marijuana flowers for the market, your margins are likely shrinking. "At some point — and we are probably there now — flower becomes a commodity, like soybeans or corn," Douglas Brown of Contact High Communications tells Forbes. "And then only the biggest players make any money selling it. Margins are thin, but they grow a lot of flower." Locally, industry insiders have long blamed plummeting prices for the proliferation of the Green Rush, with some farmers looking to go bigger each year to keep profit margins intact. What this means for Humboldt's hills in 2017 remains to be seen but economics seem to dictate that it's unlikely the industry will be shrinking its footprint. Comparisons between marijuana and corn should be enough to make anyone concerned with Humboldt County's future economic health shudder. After all, corn is planted on some 96 million acres of farmland in this country and is the most heavily subsidized agricultural product in the country. In 2015, it sold for a whopping $3.50 a bushel. You don't have to be an economist to figure out that if Humboldt County's pot farms were magically turned to corn overnight, well, let's just move on. North Coast state Sen. Mike McGuire thinks strong branding restrictions, similar to some present in the wine industry, might help keep Humboldt afloat. To that end, McGuire has introduced legislation that would prohibit cannabis businesses from using the name of a California county — or anything that appears similar — in their branding unless the marijuana is produced in that county. The idea is pretty simple: Humboldt has global name recognition and only local growers and producers should be able to capitalize on that. If passed, the trick will be making sure that branding carries some heft with consumers and turns out to be more Napa wine than Iowa corn. Meanwhile, it looks like those hoping to walk into a retail storefront in the Golden State and walk out with a recreational bag of Humboldt's finest might have to wait a while. Both the SacBee and the San Francisco Chronicle are reporting that the state likely won't be prepared to start issuing cannabis business licenses by the start of 2018 — the deadline set by Proposition 64. "We're building the airplane while it's being flown," McGuire told the Chronicle, explaining that this isn't just a matter of issuing business licenses but creating a safe and effective market for one of the state's largest agricultural crops that has, to date, gone largely unregulated. "I believe some departments will be fully operational by January 2018 but, if we're being honest, it's going to be difficult to get everything done by then." Coupled with dropping wholesale prices, the delay almost certainly means the state will have to recalculate the $1 billion in tax revenue projected to come with a fully legal, regulated marijuana market. You remember: That's the money earmarked for marijuana research, youth programs and environmental remediation. Thadeus Greenson is news editor at the Journal. Reach him at 442-1400, extension 321, or thad@northcoastjournal.com. Follow him on Twitter @ThadeusGreenson.